Has any member here had any experience with the newer type scanners - these are basically a camera on a tripod - they are meant to be very fast but i am wondering about (1, picture quality (2, what the software has to offer with regard to image manipulation ie. gamma / contrast etc. I was thinking about buying something like that, but decided against it. I am afraid the quality is not very good. 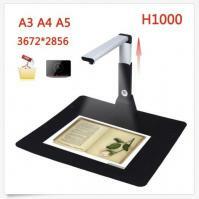 It is used to photograph documents, because it is quicker than scanning. I scan the hardcover book "Das Playmatebuch" using a flatbed scanner. deadlock99 might have some experience, he is photographing magazines. I would be interested in what equipment he uses.